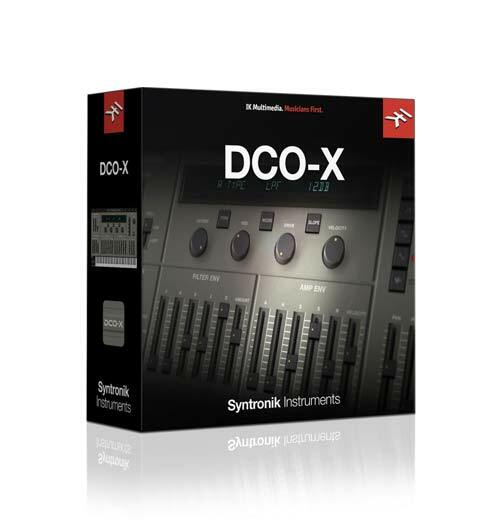 The Roland JX-10 Super JX, JX-8P and JX-3P are brought to life in the Syntronik DCO-X. 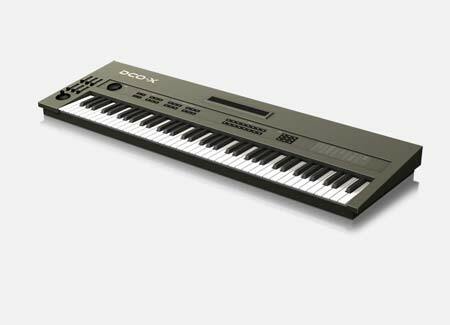 Manufactured from 1983—1989, the JX line expanded Roland’s use of DCO – Digitally Controlled Oscillator – technology from the Juno-60, in an attempt to compete with the Yamaha DX7 digital FM synthesizer that ruled the mid-80s. The JX models employ two oscillators per voice instead of the single oscillator of the Juno-60. This allows for classic oscillator detuning for the traditional analog synth sounds that we all know and love but also cross-modulation where one oscillator modulates the other. And while Roland added the second oscillator, they kept the beautiful chorus from the Juno-60. The JX synths are definitely fat and warm, but in a more midrangey, horn-like way than the Jupiter and Juno. This makes the JX ideal for dark pads and brass sounds in addition to its unusual FM metallic and percussive tones. Some famous users were the Pink Floyd (on “A Momentary Lapse of Reason”), Duran Duran, The Cure, Journey, Jean Michel Jarre, Vangelis, Tangerine Dream (on “Underwater Sunlight”), Yellow Jackets and Lyle Mays, who used it on many albums of the Pat Metheny Group.